After the geography lesson of Haururu Falls, it was time for a history lesson of New Zealand. Next to Paihia in the Bay of Islands holds a special historical and cultural interest for New Zealand. It’s where it all started. This island, accessible by a bridge, is all conserved by the Waitangi Treaty Trust, which has given lands to create a natural reserve. 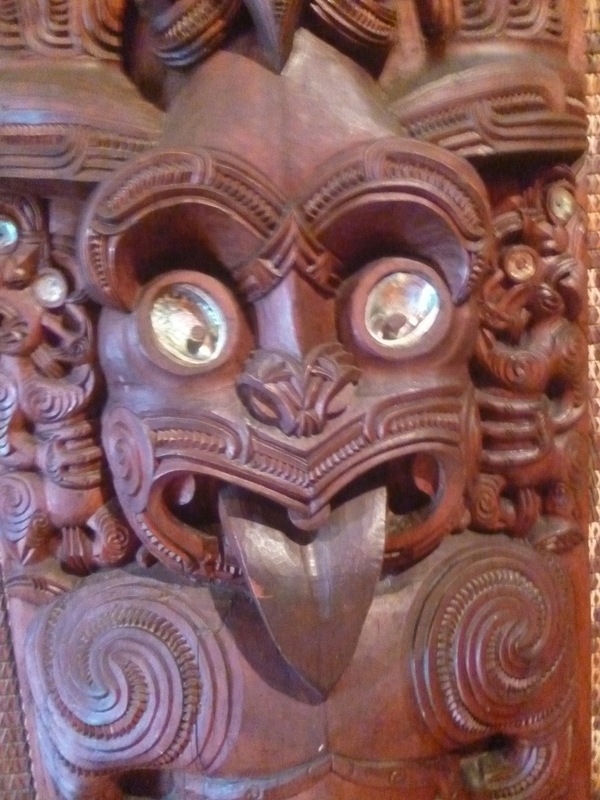 In 1840, James Bushby, the British Resident of New Zealand, working with the British Government brokered a treaty with the Maori Tribes, leaders of which descended on this island to discuss and thrash out the details of a treaty that ultimately led to the Treaty of Waitangi..arguably the most important document of New Zealand. 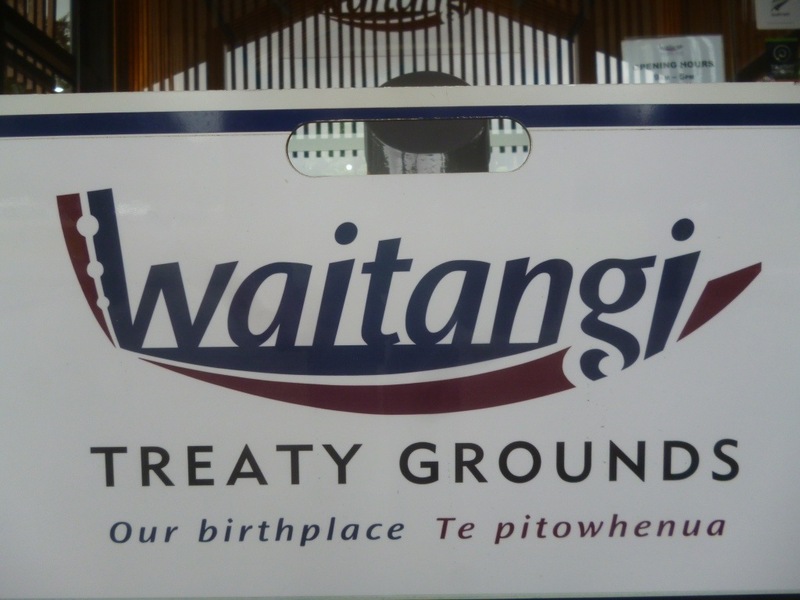 The treaty gave Maori people lands in return for recognition of overall British Sovereignty. If you want to read more about the treaty, you can find it here. 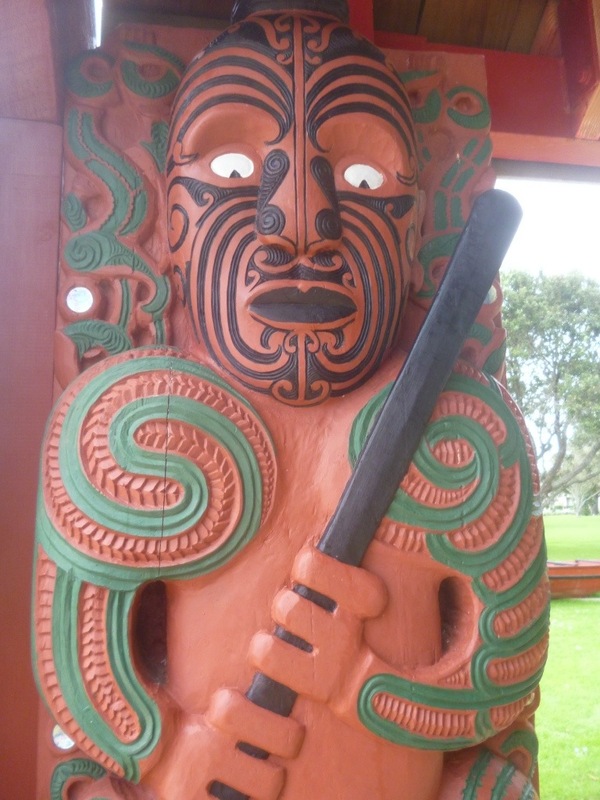 HOWEVER, there is still much debate to this day between the Maori people and the Government as both has read and understood the treaty in different ways and the Maori has said it hasn’t agreed fully to what has been implemented as they understood it in a different way. So every 8th February, the date the treaty was signed, it’s not uncommon to find a lot of protests happening. So have a read of the treaty and give me your take. So what did I do when I arrived on the grounds given by the Lord and Lady to the Government to create a national trust in 1832? 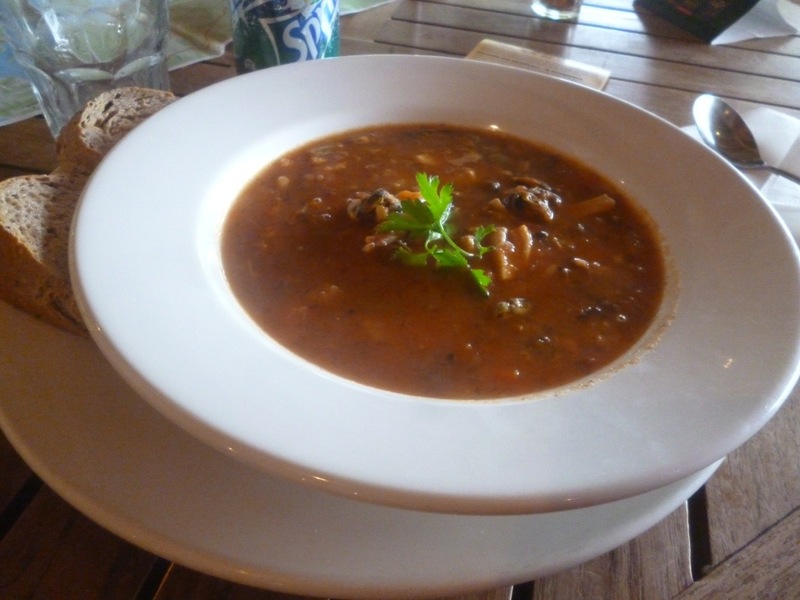 Well I checked out many of the symbols on display after having a seafood soup lunch! What symbolic stuff were there? 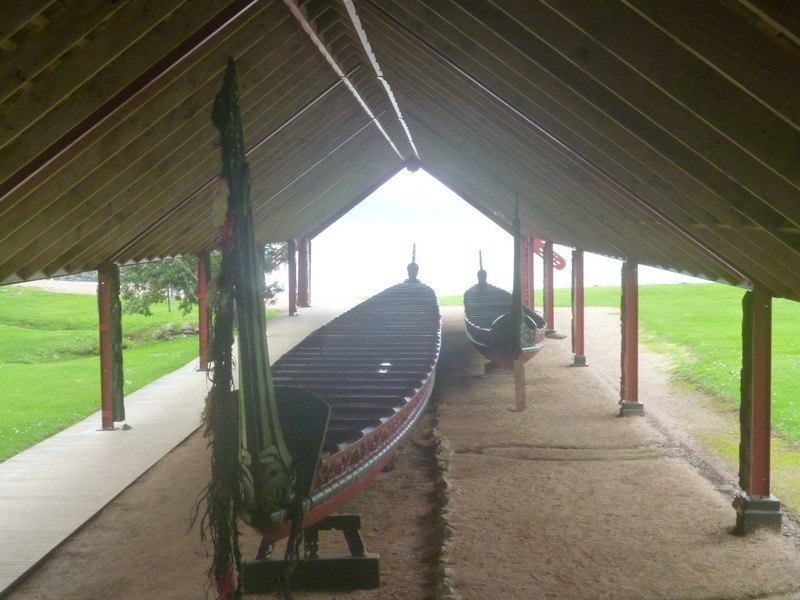 First I checked out the Waka (Boat) that was used in the 1940 centenary celebrations attended by both sides. It’s pretty mean and I loved the images carved within. 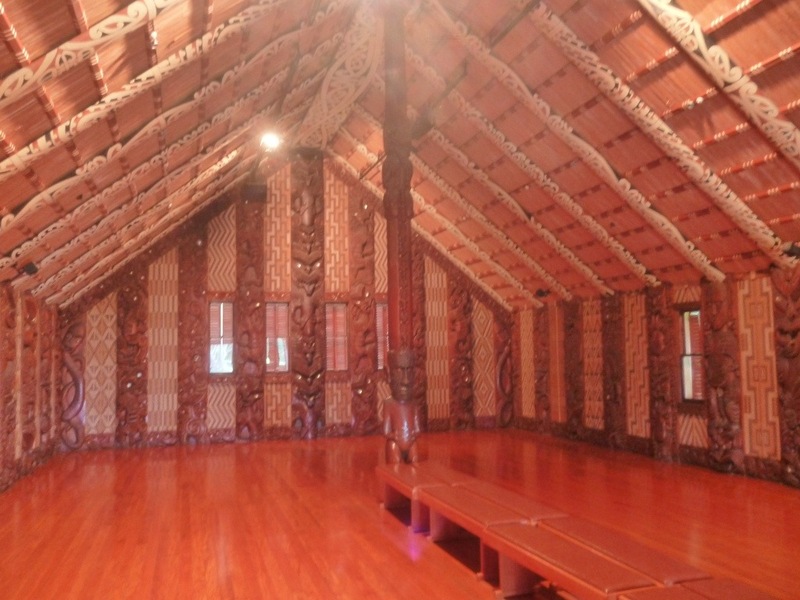 <a secondly,=”” i=”” entered=”” the=”” maori=”” whare=”” runanga=”” (meeting=”” house)=”” also=”” built=”” in=”” time=”” for=”” 1940=”” celebrations.=”” again,=”” haka=”” face=”” images=”” are=”” pretty=”” cool. Thirdly, I entered the colonial style Treaty House, which James Bushby lived in. I highly recommend a visit inside as it gives you a blow by blow account of living in time before the Treaty and how the Treaty came about. Also it tells you how the Centenary Celebrations took place and why. Outside, there’s no better place to finish off the tour of the Treaty Grounds by standing in salute to the 3 flags waving on a sail mast – UK, NZ and Maori.